Ever wondered why December is considered the marrying month in the Philippines? It goes back to old traditions when Filipinos, reaping the fruits of their labors after long and arduous planting seasons, would have enough money to spend for a wedding feast. June is celebrated as the bridal month in the West but December remains the Filipinos’ favorite month for weddings. It is the month when Christmas bonuses and extra pay for a year-long’s worth of hard work are received. With Filipinos feeling more generous in December, wedding preparations are made even grander. Everything from bouquets, decorations, to the food is of the best quality. Of course, it is important to find the perfect wedding ring, an essential part of the ceremony that symbolizes the couple’s love for each other and the promise of forever. My Diamond, the leading concept jewelry boutique in the country, shares some important tips in choosing the band that will be the long-lasting symbol of the wedding vow. A budget helps you identify the options available and find the perfect wedding ring at the right price. Give yourself time to browse, research prices and revisit rings that you like. If you want a custom-made ring you’ll probably need even more time. You and your partner may have different styles. Talk about your preferences and find a common ground. The key to finding something you both will love is to choose a ring that reflects your individual tastes. 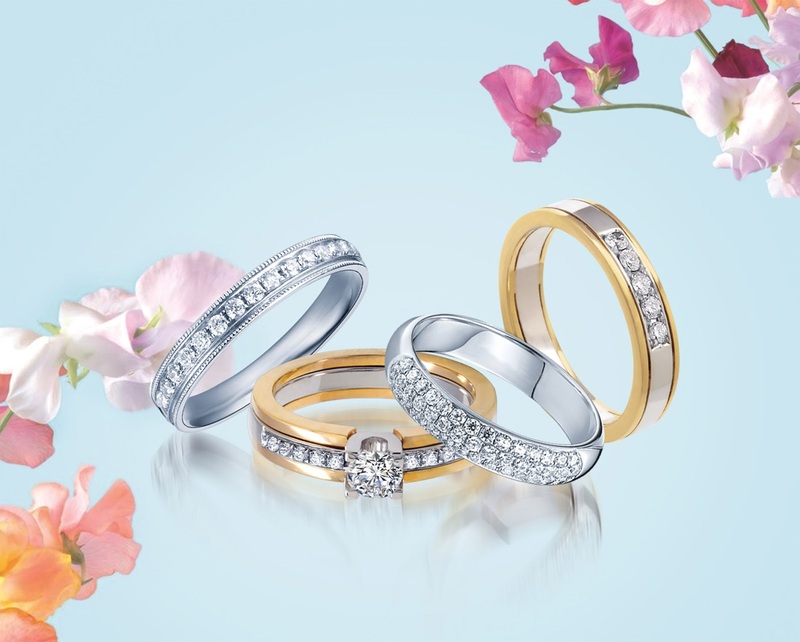 Do you want a simple wedding band or an elegant ring with intricate designs and embellishments? Decide whether you and your partner want 18K or 14K gold in yellow, white or rose color, in plain metal or with diamonds. Since you will be wearing your wedding ring every day for the rest of your life, make sure that it fits your lifestyle, and will remain in fashion no matter the season. Your wedding ring is the symbol of your love and commitment to your partner and it should be the best. It doesn’t matter whether you choose a simple wedding band or an extravagant one. Buy from a trusted jeweler that gives the best price for the best quality. My Diamond, with its wide collection of high-quality jewelry, offers stunning wedding rings that represent a couple’s beautiful commitment to each other. You can choose from a list of wedding ring designs such as Classic, Harmony, Commitment, Devotion, and Unity. Each piece is made by internationally-trained craftsmen using diamonds of top-tier cut, clarity, color and carat weight. As an option you get an assured authenticity certificate from the Gemological Institute of America. Whether you are opting for simpler wedding bands or intricately studded wedding rings you can find what you want at My Diamond. Visit any of MyDiamond concept stores at Shangri-La Plaza Mall, SM Megamall, Robinsons Place Manila, Festival Supermall, Glorietta 4, Greenbelt 3, Gateway Mall, SM Mall of Asia, SM Aura Premier, Lucky Chinatown Mall, Ayala Fairview Terraces, SM Lanag Premier Davao, or follow and like them on Facebook: https://www.facebook.com/MyDiamondPH/ and on Instagram: @mydiamondph.